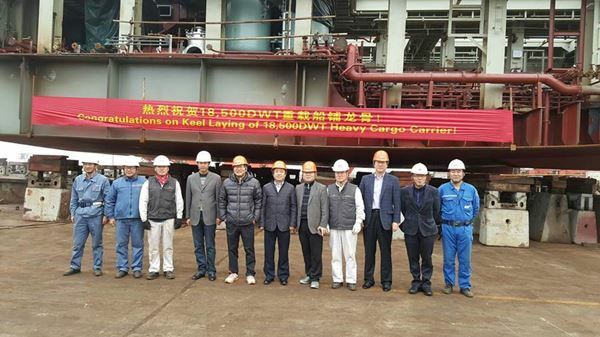 Keel laying ceremony was held at Zhejiang Zengzhou shipyard. Representatives of Kwangyang Marine (owner), Dongbang Transport Logistics (charterer), KR and Mastek have attended the ceremony. The vessel is scheduled to deliver during July 2016.